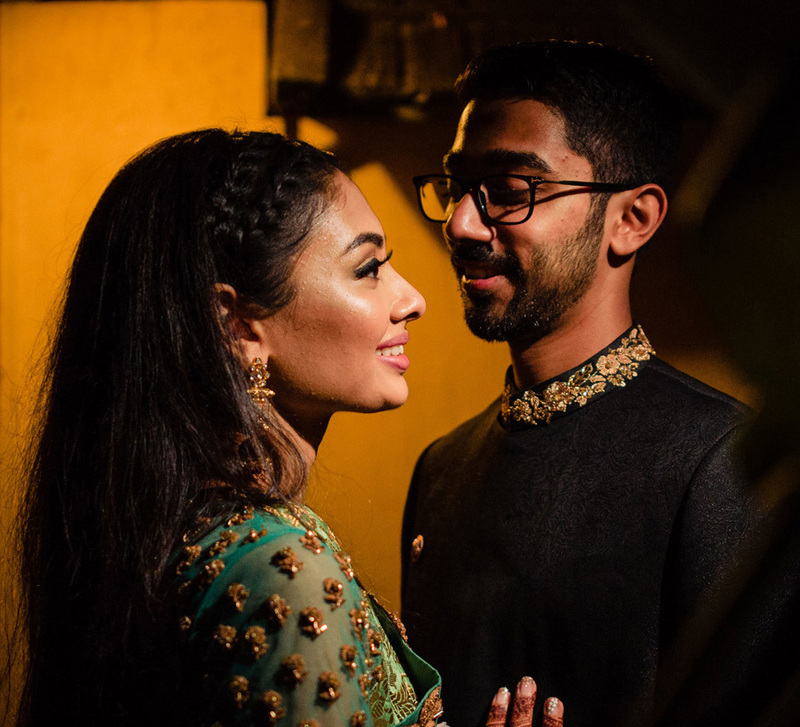 An outdoor wedding at sunset, a glitzy sangeet and an ethereal blessing ceremony for the bride - Neeraj and Maya's wedding included sophisticated decor palettes and picture-perfect backdrops. The stunning environs of the luxurious Kumarakom Lake Resort were lit with Bollywood tracks, dance performances and gorgeous decor as Neeraj and Maya’s elegant wedding got underway. 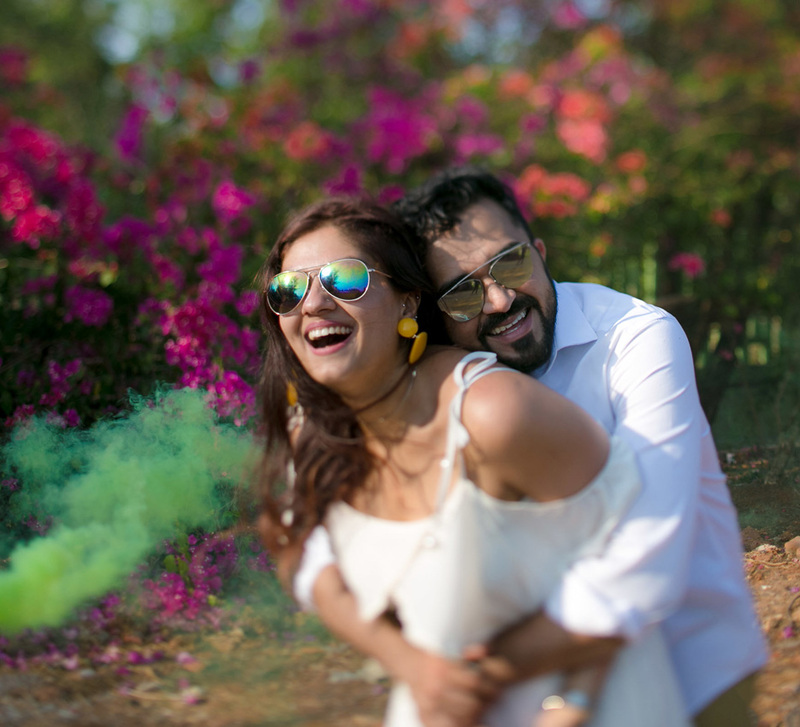 Here, we share highlights from the fun extravaganza beautifully captured by WeddingSutra Favorite Naman Verma Photography. Neeraj and Maya met each other by a stroke of luck in New York and fell in love in the most unexpected way. Their coffee breaks together eventually turned into lunch and dinner dates. He liked that she laughed at all his jokes. Before they knew it, they were spending more time and making decisions together. This was a relationship between two people that progressed in the most beautiful way. The wedding festivities started with a sanctification ceremony as the elders gathered to bless Maya, the bride-to-be before she tied the knot. Escorted by the Bharatnatyam dancers, Maya was a vision to behold in her pink silk saree and traditional heirloom jewelery. The mehndi decor was colorful and vibrant with fresh flowers and floral installations. 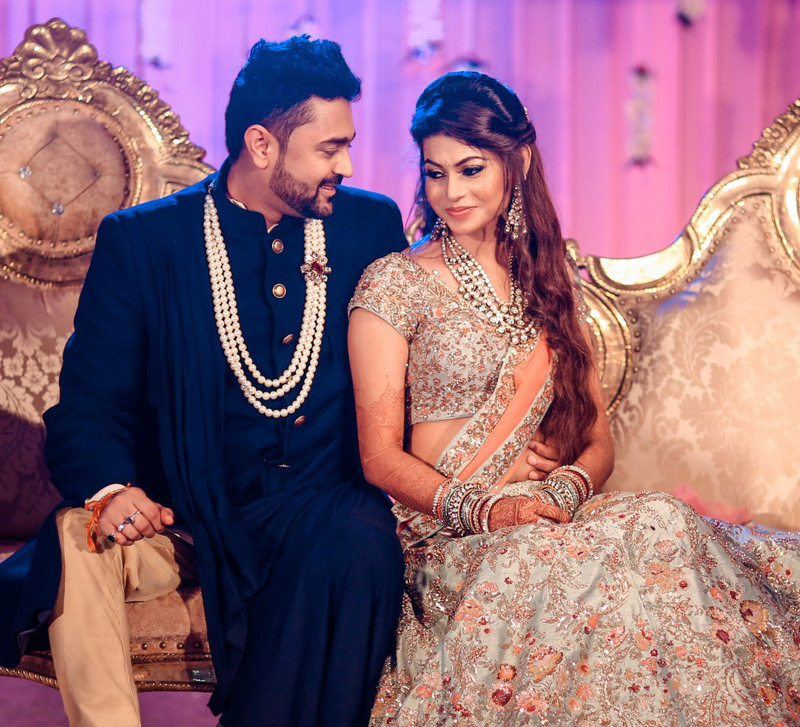 Maya looked radiant in a beautiful, colorful lehenga, while Neeraj sported a stylish kurta. The guests enjoyed games, great food and the ladies had mehndi applied to their hands. The glamorous sangeet had the bride regaling guests with her dance performance, while the DJ kept everyone on their feet into the wee hours of the morning. It was the most fun-filled and colorful event of all. The décor included a colorful stage with posters in the background and lights that illuminated the venue. This event immersed all the guests into its joyous wedding vibe. Maya looked her ethereal best in a Nikhil Thampi creation, and Neeraj wore a classic black bandhgala. The couple chose a pastel color palette that complemented the beautiful backwaters in the backdrop. 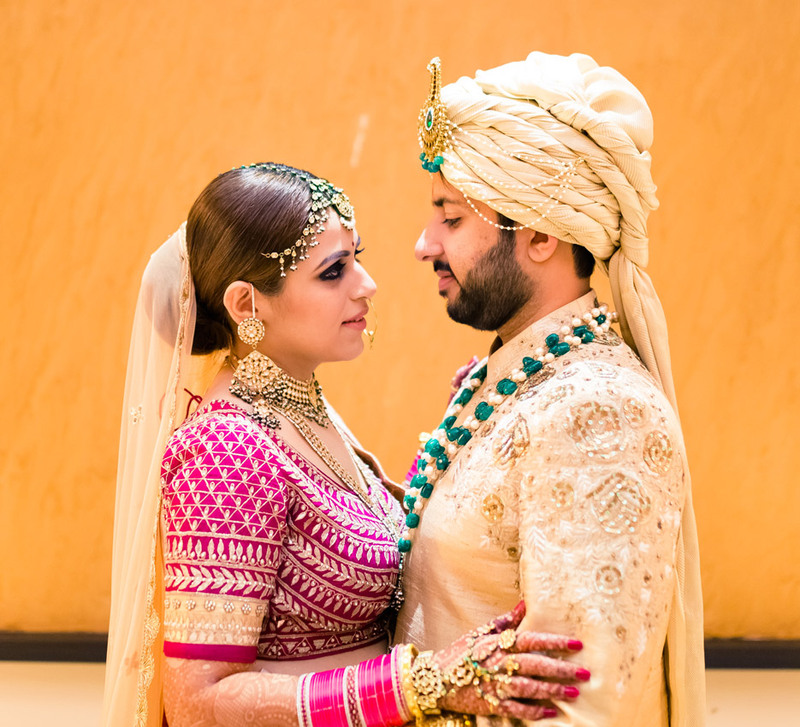 The bride’s lehenga was a dusty pastel green and Neeraj's cream and ivory sherwani complemented her ensemble. The couple’s families were in sync with their look, showcasing their personal style in similar colors. The picture perfect setting - pristine waters and abundant greenery – was made even more so with the ceremony on a boat, the setting sun as witness to their vows. The beautiful nuptials were followed by an after-party where the couple’s dance performance mesmerized their guests.